Not only do these micro dwellings offer a gateway to downsizing, but they also prove that limited square footage doesn't have to preclude refreshing, innovative design. Scroll ahead to take a peek at the tiny abodes that made the biggest impact on our readers this year. 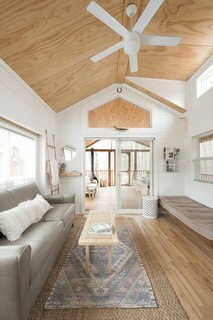 From an old grain silo reborn into an unexpected oasis to a network of small prefabs that allows users to "pay as you live," these stories illustrate you can still live large in pocket-size spaces. 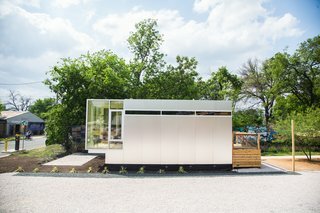 Prefabricated and stackable, Kasita's high-density units may be a solution to America’s affordable housing crisis—with tech-enabled, high-quality design to boot. The three artisans of Minimaliste Houses are crafting more than just affordable tiny homes with sleek, minimalist aesthetics—they're building a new way of life. Inspired by the calming sea, an Oregon–based builder crafts a beach-inspired tiny home trailer and sells it within a month of listing for $72,500. 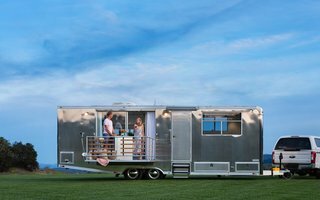 The husband-and-wife duo behind Living Vehicle tell us the story behind the off-grid, mobile home that is shaking up the industry. 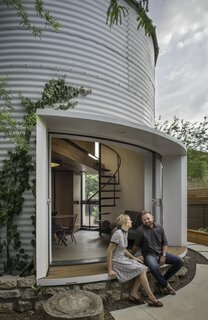 Tucked into the urban grid, a 340-square-foot grain silo becomes an unexpected desert oasis that overcomes several design challenges. 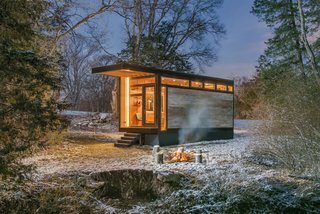 Nestled near Lake Michigan, a family finds peace and relaxation in an off-grid tiny home. Put your records on in style with the Analog Magazine Rack. 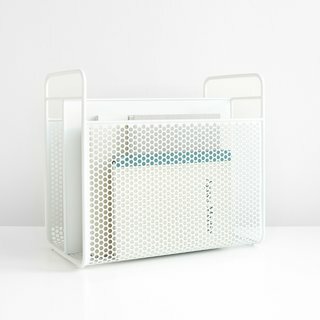 Designed for magazine or vinyl storage, its simple design nonetheless contains a nod to the digital age: its mesh sides are inspired by the cooling-down technology of the early '90s computers. Rarely does a piece of functional furniture look so good. Beautiful brass detailing links pale, matte finished ash planks to produce a unique bench top. More brass metalwork connects the seat to walnut trestle style legs. 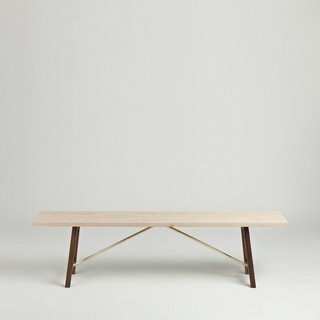 Our slim Series Two Bench is expertly crafted. It’s time to climb the ladder to high style one gorgeous rung at a time. And talk about a journey that could take you anywhere. 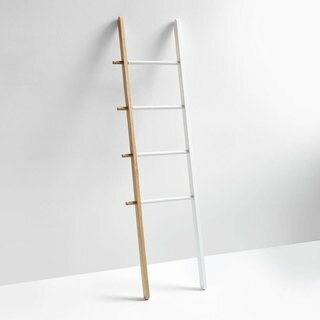 The Hub Ladder is an accessory that’s at once understated and standout, neutral and bold. 4. 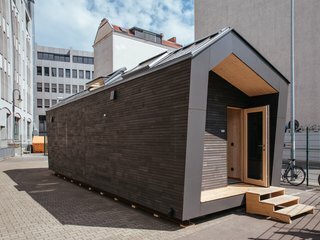 A Network of Prefab Tiny Homes Allows Users to "Pay as You Live"
Smart, sustainable, and minimalistic—these "location-independent, pay-as-you-live" prefab tiny homes introduce a new genre of urban living. 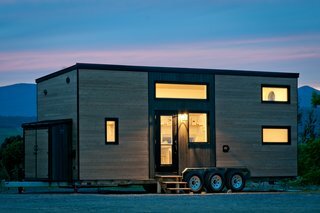 The newest model from New Frontier Tiny Homes was designed for bestselling author Cornelia Funke, and is now available for $125,000. 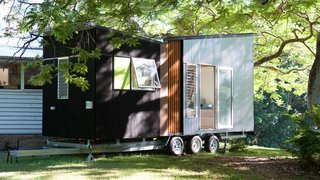 With a base price of $79,000, this 194-square-foot trailer is a complete tiny house on wheels and offers its owners flexibility of layout, as well as a wide range of optional customizations. 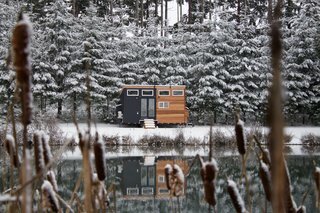 Hunkered down during a week-long snow storm, three couples hatch a plan to build purposefully designed and expertly crafted tiny homes under the moniker Tiny Heirloom. 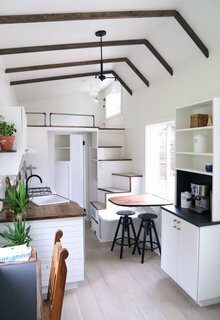 Related Reading: 7 Big Lessons to Learn From Tiny Home Design, Top 10 Home Tours of 2018.